Upper body endurance and strength. 45 minute cap to make it interesting. It's legs day. The formula for this WOD IS 4 rounds of work per exercise, 50 seconds of work 15 seconds break between exercises. Go big, lift heavy and keep form tight. The 2013 obstacle course race season came to a close in South Carolina on November 9 for us here at Team Superhuman. It was a great event capped off with finally earning my Trifecta Medal! This is an award you win when you successfully complete all 3 levels of the Reebok Spartan Race Series. The Sprint, 3 miles, Super, 8-10 miles and The Beast, 10-12 miles. The course was difficult, the terrain rough and rugged and the obstacles as always, tested my strength and resolve. We volunteered in the gladiator pit from 6am until 1pm. This was a fun time, however I was shocked at how many men came through the shoot, complainting not to be hit with a pad on a stick. 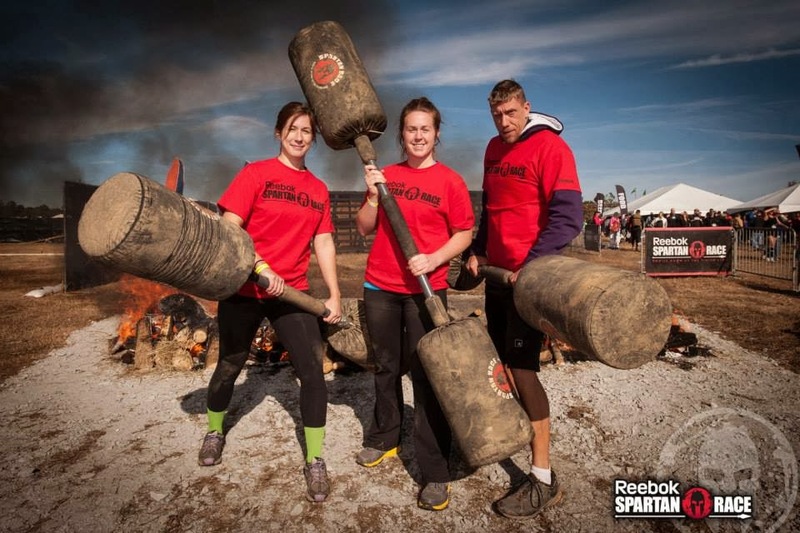 Sorry, but this is the Spartan Beast, and taking on the gladiators at the end is part of the event. Grown men whining not to get hit is sad and pathetic. The major issue I have with Spartan with this event is having us work for free for 7 hours and providing us with NO FOOD. Apparently there was a voucher to receive food in our volunteer pack. Myself and several others received no such pack. Therefore I ran the beast undernourished, I ate as much as I could with the food I brought with me. It still wasn't nearly enough. The course was in a dirt bike park that offered some gnarley terrain and plenty of water obstacles. The temperature in SC when we ran was barely 65 degrees. It was unusually cold which made all the water obstacles that much more difficult. Not only did you have to deal with the normal physical fatigue, but the wet and cold doubled the strain on your body, especially as the sun began to set. Spartan included some of their staple obstacles, sandbag carry, barbed wire crawl, 8 foot walls, monkey bars and the tractor pull. All great obstacles and very challenging. Since the event was in a dirt bike park, there was not a lot of elevation change that you typically see. This years Sprint and Super had huge elevation changes, this means you are doing more uphill marching than trail running. The Carolina Beast certainly included more trail running versus mountain marching. 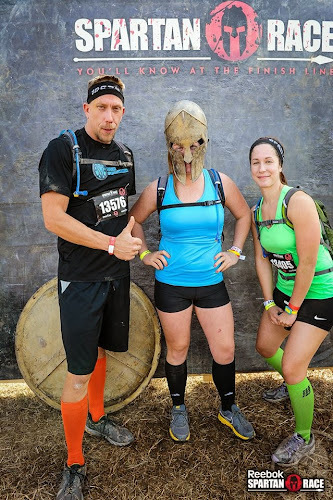 The course challenged me more than any OCR I've ever done. First obstacle in I twisted my ankle and by mile 5 I questioned my resolve. Several times I was ready to quit. The pain in my ankle was so intense, it didn't seem that finishing was possible. However, I pushed on, stuffed the pain away and finished in 4 hours and 36 minutes. My goal was 4 hours or less. I didn't reach my goal, but that time is still outstanding. The event was fun, and I'm looking forward to getting back to train, for fun rather than competition. Make no mistake, Team Superhuman will be running the Reebok Spartan Races again next year, this time, our Beast Medal will come via Vermont! Thanks for Reading!! Any questions or comments, please post below! 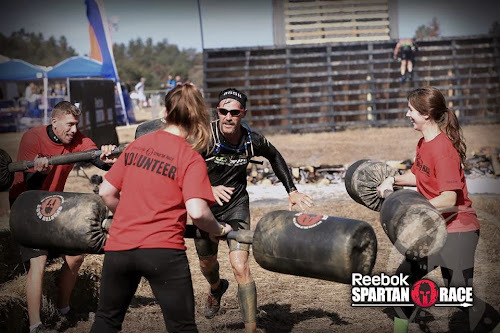 Want to get a jump start on your 2014 OCR Season? The Team Superhuman Barbell Club is starting our new Program IronWolf in December! If you are local to us, check this program out!